Jessica Miceli, MSC, LAC, is a Certified Equine Therapist and a part of the Therapeutic Recreation Activities Program (TRAP) at Sierra Tucson in Tucson, Arizona. Jessica was born in Longmont, Colorado. 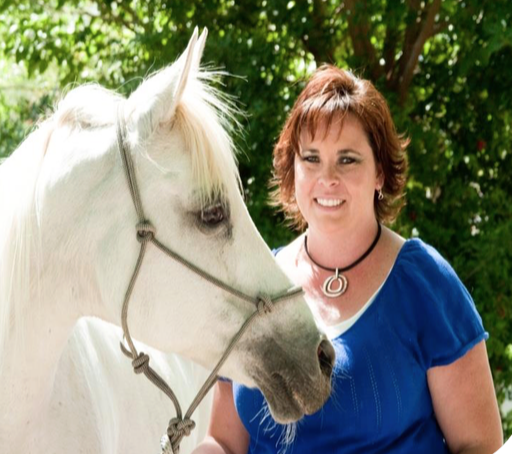 Jessica works as an equine therapist at Sierra Tucson, an inpatient psychiatric facility located in Tucson, AZ. She has worked in that capacity for the past 6 years. She has a master’s in community counseling as well as certified as both an equine specialist and mental health clinician by EAGALA. Jessica is the executive director of a nonprofit called Gates of Dawn that is in the process of obtaining funding for providing equine therapy to the domestic violence population. Lastly, Jessica was part of a study researching the effectiveness of equine therapy using heart rate variability measurements. Jessica can be reached at: (520) 907-4675 or jessmiceli1@gmail.com.